A California homeowners association (HOA) has demanded people in their community keep their garages open, threatening a fine if they don’t. The HOA in Auburn, California has told members they face a $200 fine and an administrative hearing if they don’t leave their garage doors open during the hours between 8 a.m. and 4 p.m. Monday through Friday. While some have been obeying the new rule, others have fought against it through open rebellion. 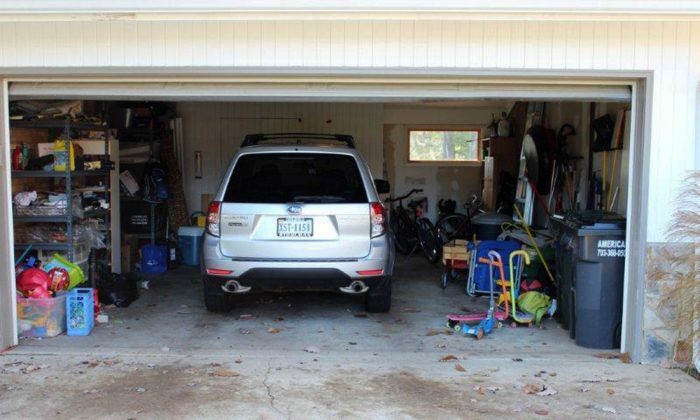 “If you want to do a monthly, bi-monthly inspection of my garage, I have nothing to hide. If I have something that’s being stored in there and you don’t like it I’ll remove it,” Shally Ia told Fox40. She’s refused to keep her garage open. Nine-year-old Jason, no last name given, whose family lives in the community, said he was afraid his bike and electric scooter would be stolen if the rule stayed in place. Board member Norma Brewer told KCRA that the policy was put in place after it was discovered one resident was allowing people to live in his or her garage. John Sprankling, a professor at the McGeorge School of Law, told the broadcaster that if the new rule were presented to a judge, the judge would likely rule against the policy because it provides security concerns. The Auburn Greens Home Owners Association office was closed during posted business hours, reported both broadcasters. The association has a 2.6 out of 5 stars rating average on Google, from 25 reviews. Nine of the reviews were posted in the last week, all with one star, arguing that the new policy is absurd. “Heard about this all the way down in Florida! Our state is Known for their crazy HOA rules. You guys take the cake for nuttiness,” one reviewer wrote. “I hope your residents sue for demanding unconstitutional fines for closing their garage doors during the day,” added another.